John Kitchen resurrects the ‘cinema organ style’ – neglected for decades – in a collection of entertaining favourites, well known to his regular Usher Hall audiences. This recording brings together the music of John’s boyhood hero Arthur Sullivan with the witty and original arrangements of East-Coast Scot Michael Thomson. 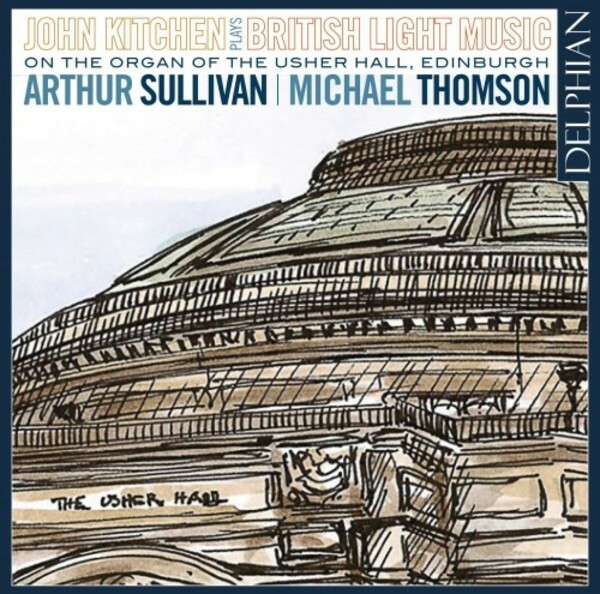 With a performance radiating warmth and joy, John Kitchen celebrates the Golden Age of British light music in this, his eighteenth appearance on Delphian. From 1988 until his retirement from teaching in 2014, John Kitchen was a Senior Lecturer in Music at the University of Edinburgh; he is now an Honorary Fellow. He continues as University Organist – one of his main duties being to play the organ for all graduation ceremonies – and as conductor of the Edinburgh University Singers. Following the restoration of the city’s Usher Hall organ in 2003, John was appointed Edinburgh City Organist with promotional and curatorial duties, a post he still holds.